Laszlo Kover participated in ceremony honoring a fascist ideologue. He was to take part in a ceremony honoring Raoul Wallenberg in July. 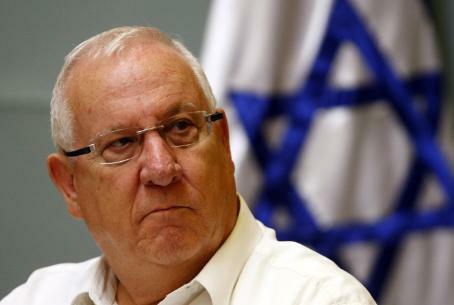 Knesset Speaker Reuven Rivlin, who is about to leave for Germany on an official visit, has told his Hungarian counterpart, Laszlo Kover, that he is unwelcome in Israel. Kover was supposed to take part in a ceremony in Israel in mid-July marking the 100th birthday of Raoul Wallenberg. The speaker of the Swedish parliament is also scheduled to attend. "We are shocked by the reports that you chose to participate in an event commemorating anti-Semitic writer Jozsef Nyiro," wrote Rivlin, "By so doing, you have openly proclaimed your identification with a man whose party, as part of the Hungarian leadership, cooperated with the Nazi murderers in the execution of their plan to annihilate the Jewish people." "A person who took part in such a ceremony cannot participate in an event honoring a man like Raoul Wallenberg, a Righteous Gentile, a symbol of humanity, who saved Jews while risking his life, and who serves as an example of the fight against the Nazis and their collaborators, with whom you chose to identify." Writer Eli Wiesel has also protested to the Hungarian government over its participation in attempts for the reburial of Nyiro. “It is with profound dismay and indignation that I learned of your participation, together with Hungarian Secretary of State for Culture Geza Szocs and far-right Jobbik party leader Gabor Vona, in a ceremony in Romania honoring Jozsef Nyiro, a member of the National Socialist Arrow Cross Parliament,” Wiesel said.